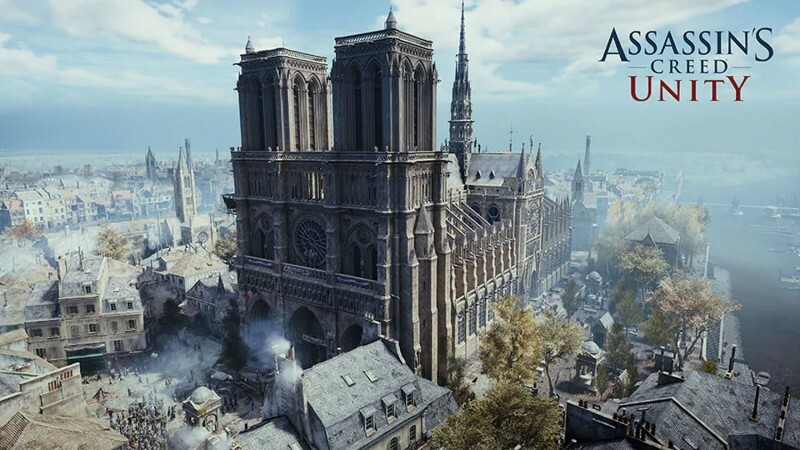 Days after a fire caused extensive damage to Paris’ Notre Dame cathedral, Ubisoft is making an effort to commemorate the landmark and also help aid its reconstruction efforts. The company says it’s donating €500,000 for restoration and, as reported earlier, the scans of the structure created during Assassin’s Creed Unity’s development could be a valuable reference source in the coming years. PC players who didn’t get to tour the structure before the blaze (or didn’t visit via Unity) have a week to do so on Ubisoft’s dime, too. Assassin’s Creed Unity is free on PC for the following week. To claim your copy, just visit Ubisoft’s online store here. Its DLC is also discounted, if you feel like taking a deeper dive. Otherwise, you’re free to wander around Notre Dame and take in the sights of Paris. The game had a notoriously rocky launch, but a series of patches and updates brought it up to series standards. If its bumpy release kept you away, this is a great excuse to check Unity out.